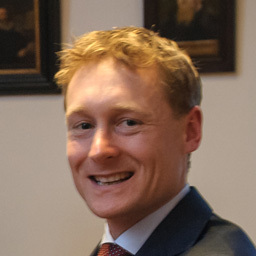 My name is Edwin van der Pol and I am interested in the detection of exosomes, microvesicles and other extracellular vesicles as biomarkers for disease. I am a Postdoc researcher at the department of Biomedical engineering and Physics and the Laboratory of Experimental Clinical Chemistry in the Academic Medical Center of the University of Amsterdam, The Netherlands. Furthermore, I am co-founder of the company Exometry, which applies physics to understand and push the technological limits involved in vesicle detection. This website contains information related to my research interests and other activities. Furthermore, you can find an overview of my publications. March 29th, 2019 We have two new internship positions for M.Sc. students available. One internship position is about the development of EV-Radar: an instrument for rapid detection and recognition of extracellular vesicles. The other internship position is about unsupervised (machine) learning to improve analysis of flow cytometry data of extracellular vesicles. November 16th, 2018 I received the Andreas Bonn medal from the Genootschap ter bevordering van Natuur-, Genees- en Heelkunde for my PhD research. November 12th, 2018 Aleksandra her manuscript about a randomized controlled trial protocol to investigate the antiplatelet therapy effect on extracellular vesicles in acute myocardial infarction, is accepted for publication in Platelets. November 6th, 2018 I gave a presentation about the detection of extracellular vesicles by flow cytometry at the Brazil ISAC flow cytometry workshop in São Paulo. Thank you Henning Ulrich and Alvaro Luiz Bertho dos Santos for inviting me and organizing the workshop. October 1st, 2018 Linda her manuscript about how centrifugation affects the purity of biomarkers, is accepted for publication in Cytometry Part A.
April 6th, 2018 Aleksandra her manuscript about P2Y12 antagonist ticagrelor, which inhibit the release of procoagulant extracellular vesicles from activated platelets, is accepted for publication in Cardiology Journal. February 19th, 2018 Our manuscript about standardization of extracellular vesicle measurements by flow cytometry through vesicle diameter approximation is accepted for publication in the Journal of Thrombosis and Haemostasis. January 12th, 2018 Leonie her manuscript about comparison of generic fluorescent markers for detection of extracellular vesicles by flow cytometry is accepted for publication in Clinical Chemistry. December 22nd, 2017 Our manuscript about absolute sizing and label-free identification of extracellular vesicles by flow cytometry is accepted for publication in Nanomedicine. November 16th, 2017 I gave a presentation about counting biological nanoparticles as biomarker for disease at the Precisiebeurs. September 25th, 2017 I gave a presentation about detecting cell-derived vesicles with cell counters at the annual meeting of the European Society for Clinical Cell Analysis. September 7th, 2017 Aleksandra her manuscript about extracellular vesicles in post-infarct ventricular remodeling is accepted for publication in the Polish Heart Journal. July 28th, 2017 I received a Veni grant worth €250,000 from the Netherlands Organisation for Scientific Research to improve the detection of extracellular vesicles. The aim of the project is to develop new technology to enable detection and recognition of the smallest extracellular vesicles at a rate beyond 10,000 vesicles per second. July 8th, 2017 I gave a presentation about measuring extracellular vesicle concentrations at the Scientific and Standardization Committee meeting of the International Society on Thrombosis and Haemostasis. May 11th, 2017 I gave a presentation about the detection of extracellular vesicles as biomarker for cancer at the Cancer Center Amsterdam Seminar Series. April 14th, 2017 Frank his manuscript about methodological guidelines to study extracellular vesicles is accepted for publication in Circulation Research. February 13th, 2016 I gave a presentation about label-free tracking of single extracellular vesicles in a nano-fluidic optical fiber at SPIE Photonics West 2016. August 7th, 2014 Anita her manuscript about single step isolation of extracellular vesicles from plasma by size-exclusion chromatography is accepted for publication in the Journal of Extracellular Vesicles. c and Standardization Committee meeting of the International Society on Thrombosis and Haemostasis. April 25th, 2014 Our manuscript about the particle size distribution of exosomes and microvesicles by transmission electron microscopy, flow cytometry, nanoparticle tracking analysis, and resistive pulse sensing is accepted for publication in the Journal of Thrombosis and Haemostasis. February 1st, 2014 I gave a presentation about the refractive index determination of single sub micrometer vesicles in suspension using dark-field microscopy at SPIE Photonics West 2014. February 1st, 2014 I gave a presentation about the distinction of tumor-derived vesicles from normal vesicles by Raman microspectroscopy at SPIE Photonics West 2014. January 1st, 2014 Zoltan his manuscript about traceable size determination of extracellular vesicles is accepted for publication in the Journal of Extracellular Vesicles. November 19th, 2013 Duc his manuscript about dependent and multiple scattering in transmission and backscattering optical coherence tomography is published in Optics Express. July 2nd, 2013 I gave a presentation about the physical interpretation of the size and concentration of extracellular vesicles at the XXIV Congress of the International Society on Thrombosis and Haemostasis. June 30th, 2013 Our manuscript about innovation in detection of microparticles and exosomes is published in the Journal of Thrombosis and Haemostasis. June 29th, 2013 I gave a presentation about the determination of the refractive index of vesicles using nanoparticle tracking analysis at the Scientific and Standardization Committee meeting of the International Society on Thrombosis and Haemostasis. June 20th, 2013 I received a Research Excellence Grant from the European Metrology Research Programme for the development of a method to determine the real part of the refractive index of single extracellular vesicles and biological reference particles. May 21st, 2013 I gave a presentation about the detection of microparticles by flow cytometry at the University of Leicester. February 6th, 2013 I gave a presentation about label-free identification of single cell-derived vesicles by Raman microspectroscopy at SPIE Photonics West 2013. February 3rd, 2013 I gave a presentation about single versus coincidence detection of cell-derived vesicles by flow cytometry at SPIE Photonics West 2013. December 10th, 2012 Our book chapter about platelet-derived microparticles is published in the 3rd edition of Platelets. June 21st, 2012 Kickoff meeting of the research project Metrological characterization of microvesicles from body fluids as non-invasive diagnostic biomarkers. June 21st, 2012 Our manuscript about the classification, functions, and clinical relevance of extracellular vesicles is published in Pharmacological Reviews.